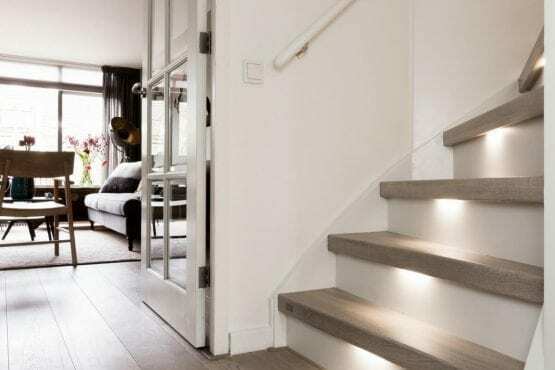 Upstairs has the ultimate solution for fitting step covers to your concrete staircase. Immediately, your space will feel just that bit cosier. 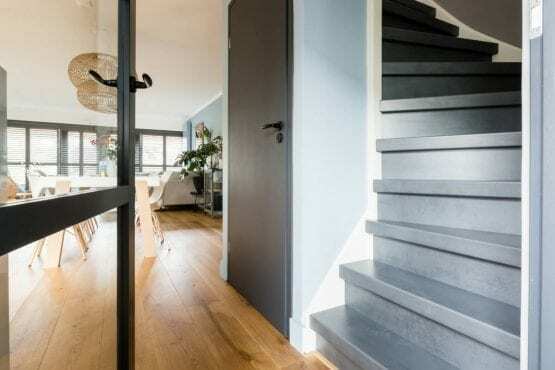 Covering concrete stairs means style, warmth, even a sturdy character. 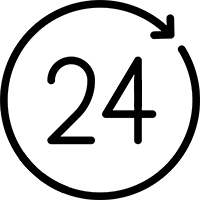 With us, you are guaranteed of the best quality! 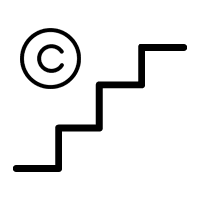 Many houses have concrete stairs that are extremely solid. Unfortunately, they are not always in good condition and often do not match your interior. 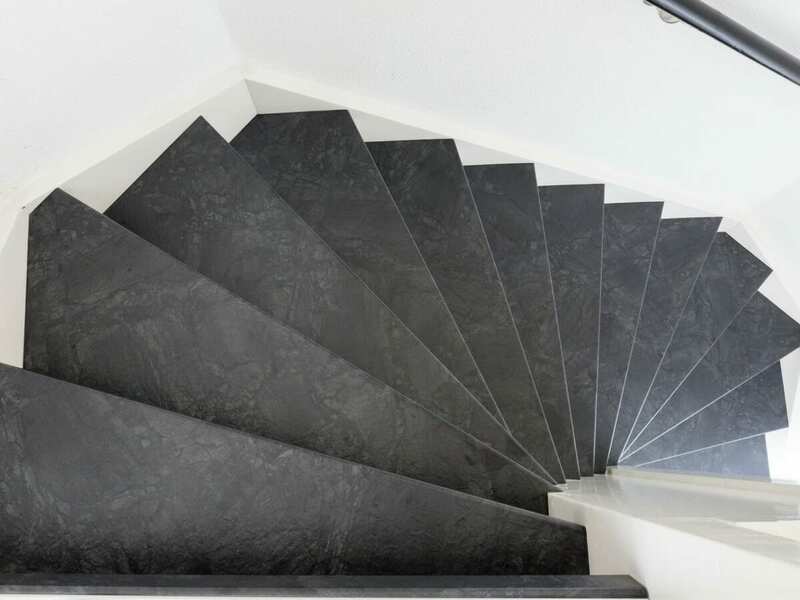 The ideal solution to this is a hard-wearing staircase renovation. Do you have a new building? 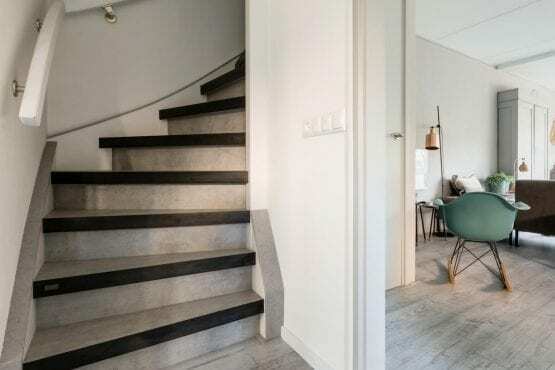 Concrete stairs are an excellent choice here too. 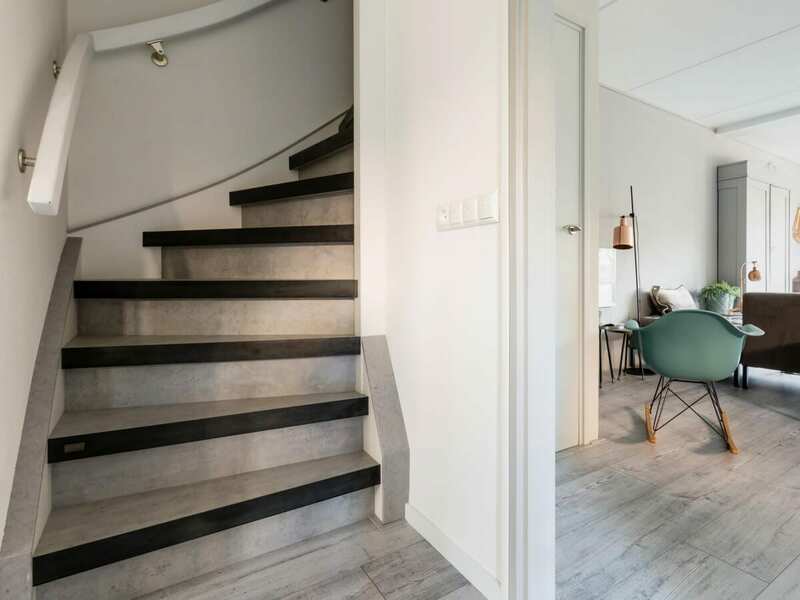 Concrete stairs are cheap, extremely robust, fire resistant and quickly installed. Concrete also guarantees good acoustics in your home. 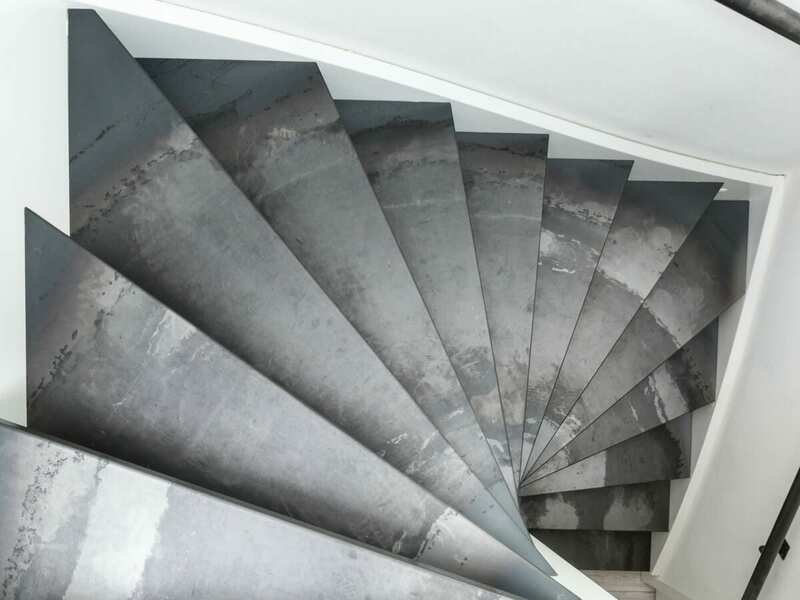 Furthermore, it is no longer the case that concrete stairs have a cold and industrial character. 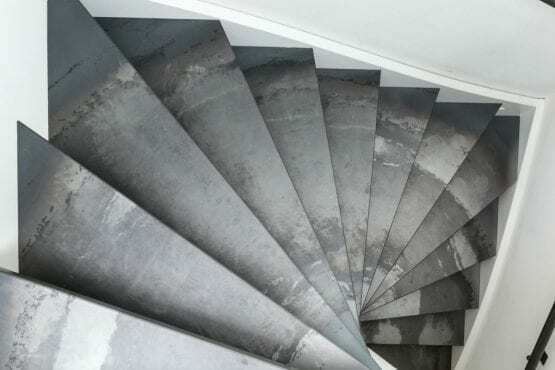 Do you want to cover concrete stairs? You can do this in many different ways. 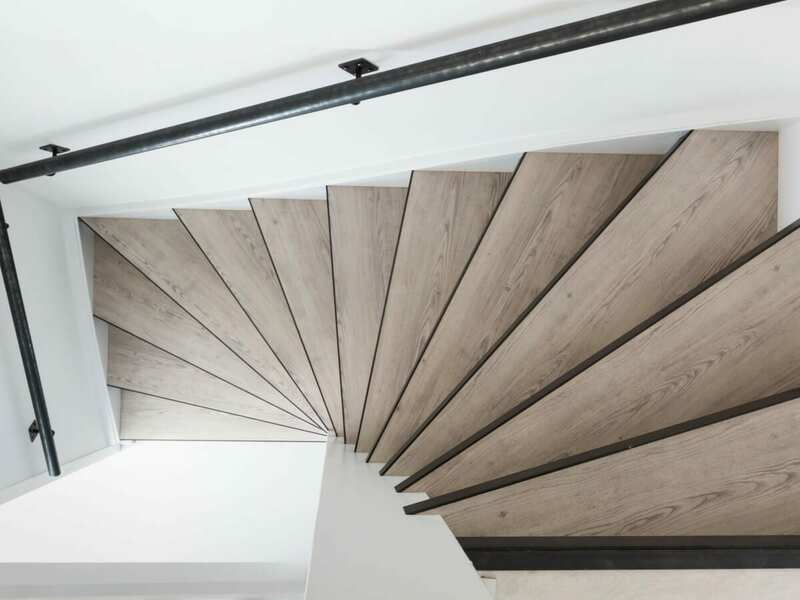 A wooden covering for concrete stairs does not just suit modern interiors. It also works perfectly in country interiors. 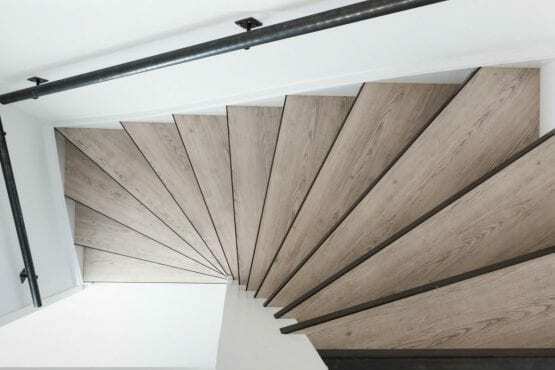 You can even go for something more classic, by choosing a staircase covering in a classic variety of wood. 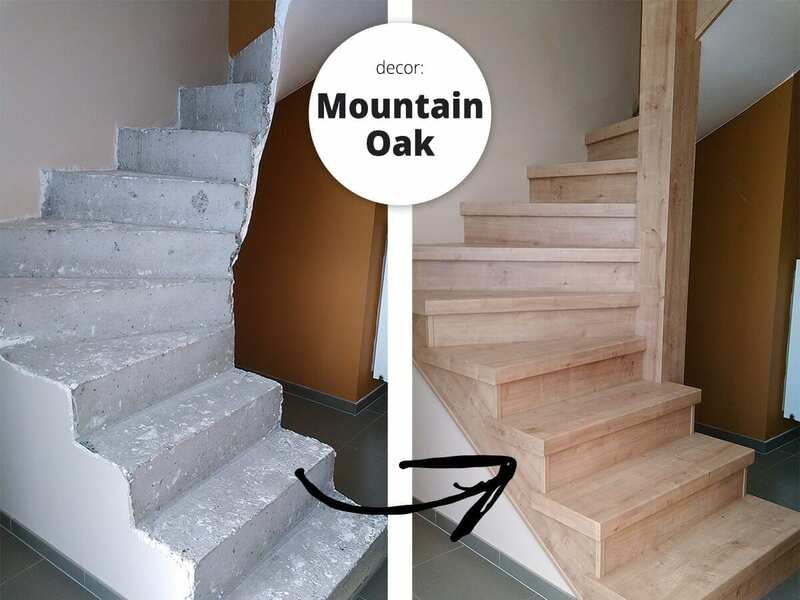 Whichever style you choose, it is perfectly possible to finish your concrete stairs in wood. We all know that details make all the difference. 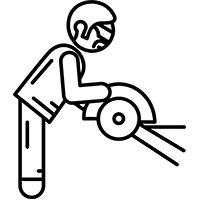 The same is also true for staircase renovation. 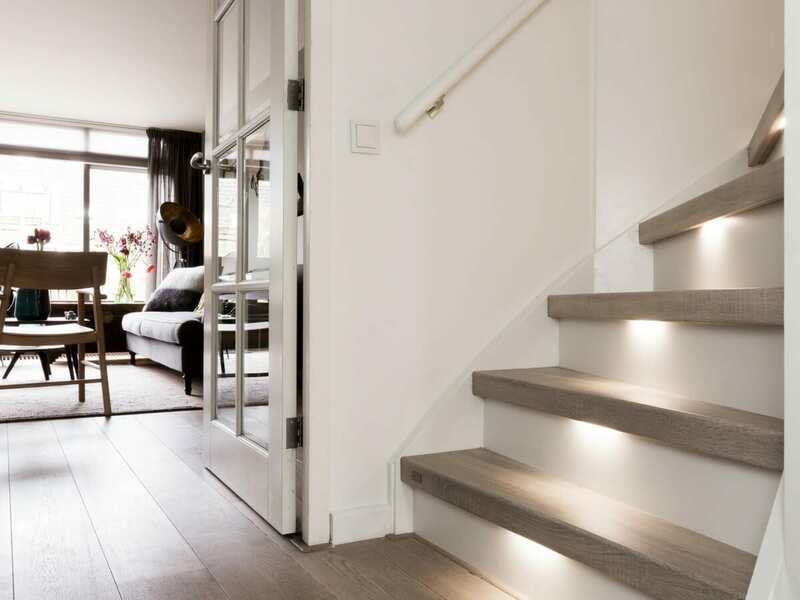 Would you like risers in the same colour as your staircase covering, or would you prefer a white or cream colour? 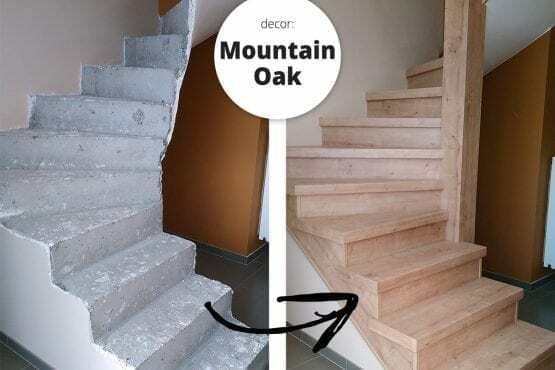 What are you going to do about the sides of the steps? 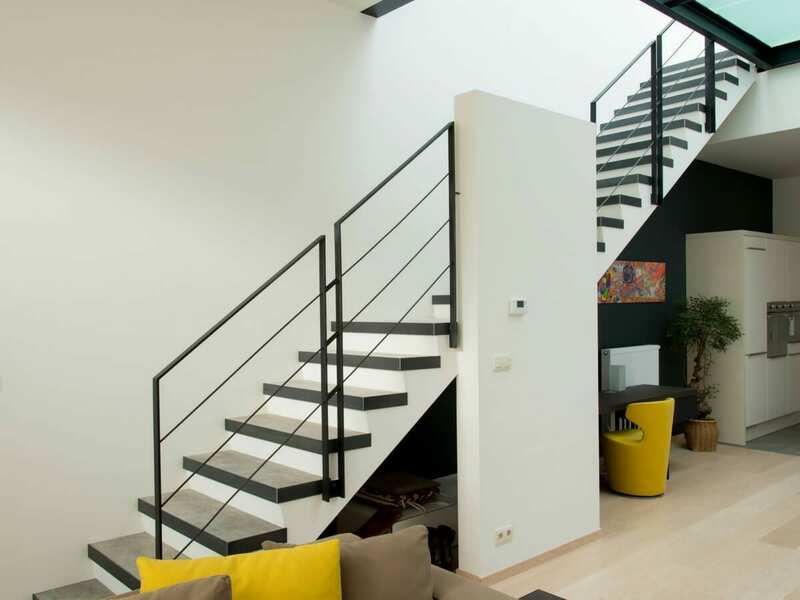 Upstairs offers numerous options which enable you to cover your stairs in a way that fully matches your taste. 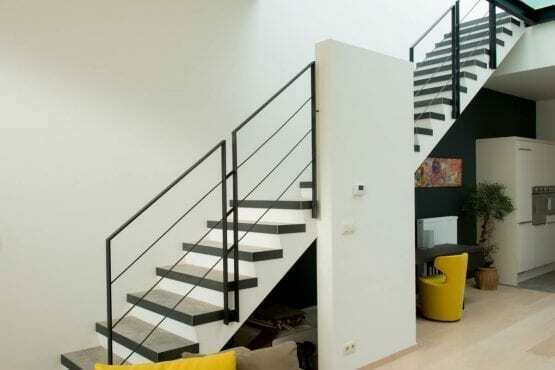 You can even have your handrail in the same style! 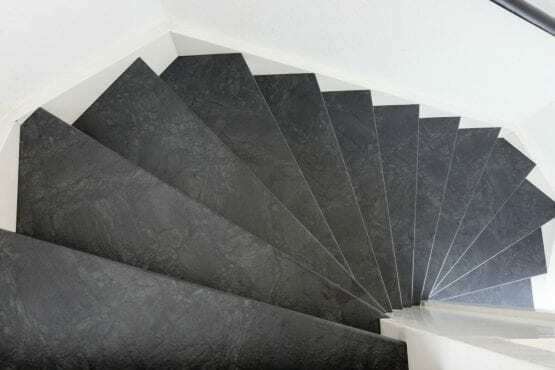 Would you like more information about covering your concrete stairs? 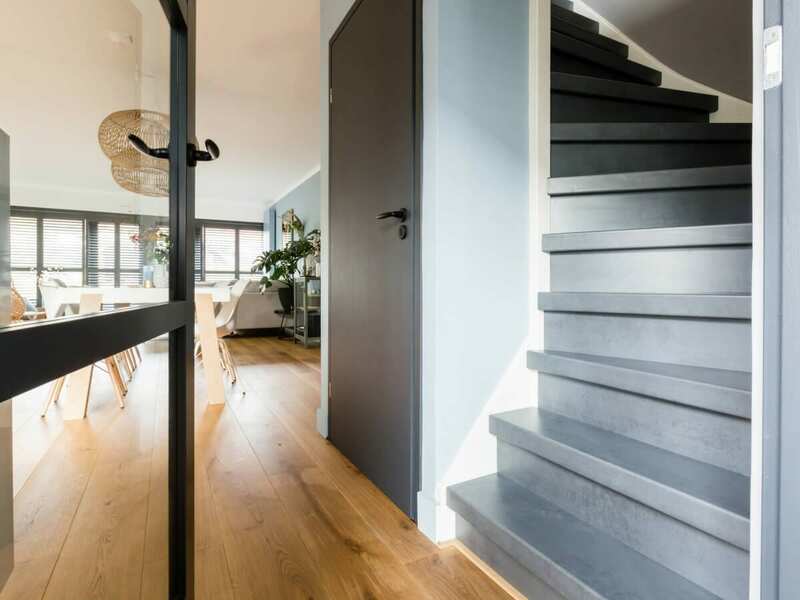 Discover how we work at Upstairs Staircase Renovation and learn more about your next renovation project. Would you like to make an appointment? Please contact us. 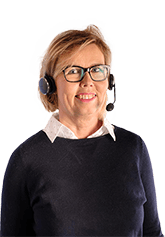 Our staff will be pleased to answer your questions.